We discovered that the workplace isn’t working. That the blue-collar factory has become the white-collar factory, leaving employees not engaged at work. – and that their brand lives and dies in the moment of rejection. 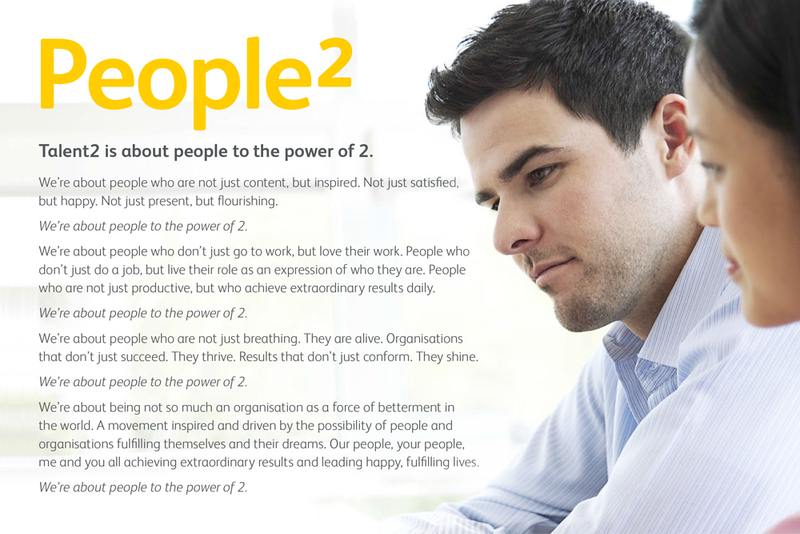 Talent2 are in the people business. 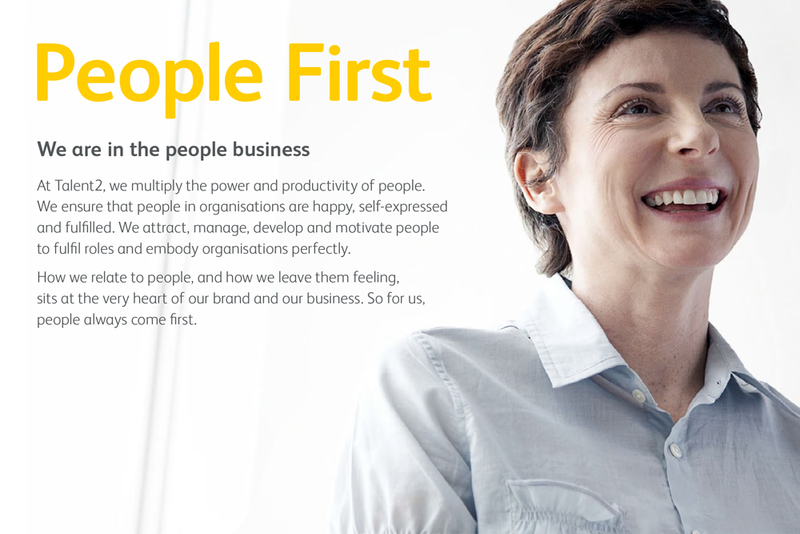 Their Brand Essence, and internal way of being and acting every day, is “People First”. Everything that they do as an organisation is about putting people first. 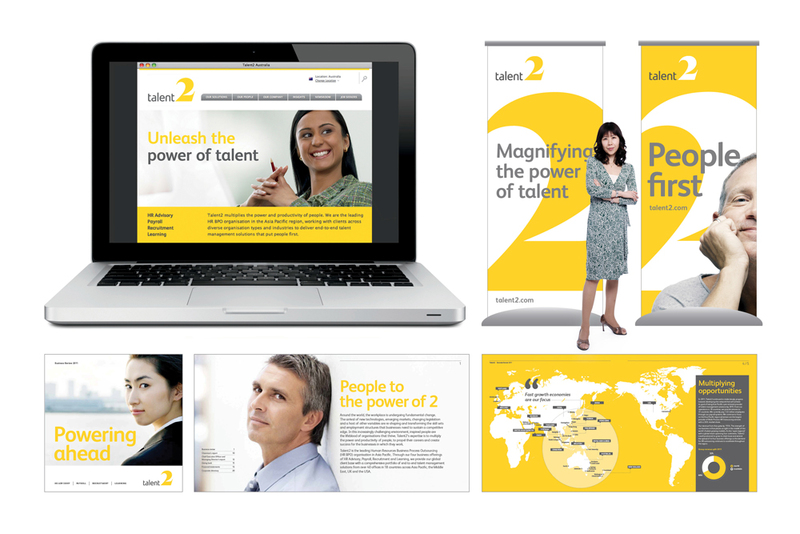 Talent2 is about people to the power of 2. We’re about people who are not just content, but inspired. Not just satisfied, but happy. Not just present, but flourishing. 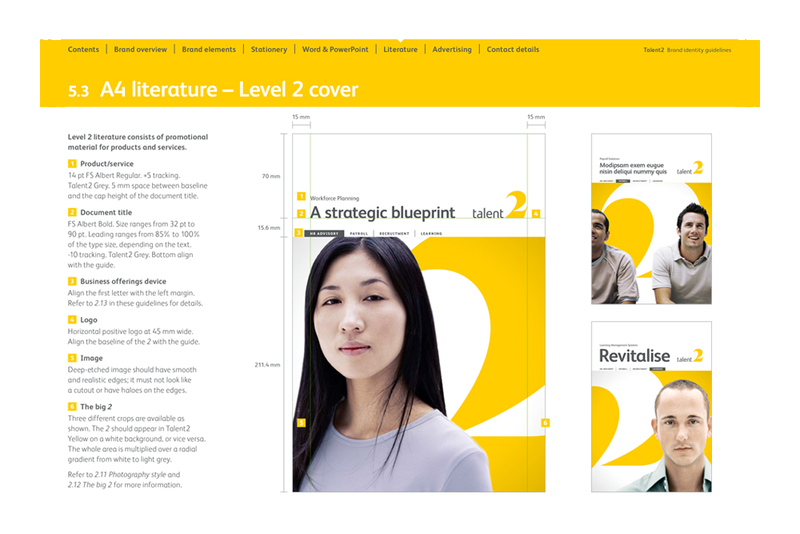 Talent2 successfully sold to the global Allegis Group in 2013.